Hi, I've been a gamer, artist and volunteer in the role-playing convention circuit since the early 80's. I grew up in a time before the advent of the internet and its MMORPGs; when table top games were at their height. I spent every weekend of my childhood at the local gaming store. I witnessed the birth of Dragon-Con and play tested a couple of games that later went mainstream. Its been my life-long ambition to create and publish a table top role-playing game of my own. With that desire in my heart, I started work on a sci-fi RPG called ANKUR - kingdom of the gods. We’re all looking to make a difference in this world and I believe that by focusing on each person's individual talents, each of us can make an impact in our own way. Gaming is what I know. I'm so fortunate to have been given the chance to make my impact through this medium. I hope that it serves to foster the imaginations of others who will carry on the table top torch. Its been my life-long ambition to create a world like this. Click here to buy the Ankur - kingdom of the gods role-playing game. The game is available in pdf format, as well as, both soft-cover and hard-cover copies. 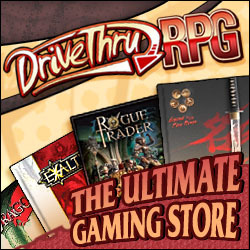 There are also multiple play aids available for purchase, including: GM screens, posters, and adventure modules. We will be attending every gaming convention in the state of Georgia that we are able to. Please refer to our facebook page for up to date info on convention appearances. ANKUR kingdom of the gods is a table top role-playing game loosely based on ancient Sumerian mythology and ancient alien theory.